I assigned a shift to the wrong person. How do I fix it? If you need to edit a change and assign it to a different person, you can do so on the schedule page. There are two ways for you to re-assign a shift. 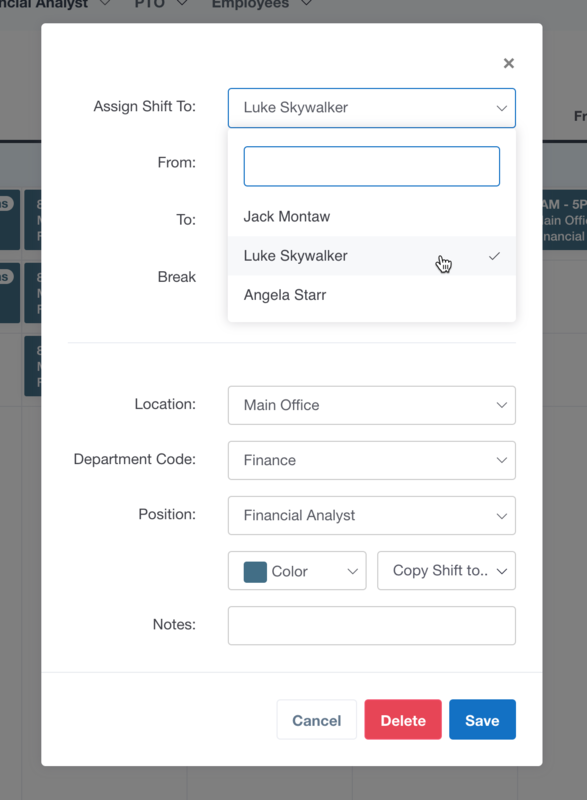 The first is by clicking on the shift, using the dropdown box to select a different employees name, and saving. You will then need to Publish the shift for the new employee. The second option available is simply dragging and dropping the shift to the new employee. You will need to Publish the shift again once moved.